Minto Group Inc. - Back in Barrhaven, it’s the ever-stylish, always affordable Infusion Terrace Home. 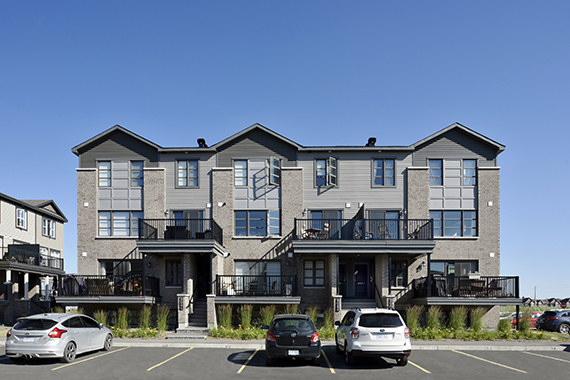 Back in Barrhaven, it’s the ever-stylish, always affordable Infusion Terrace Home. Combining the convenience of condo living with the inspiring Minto Communities home design you’ve come to expect, a 2 bedroom, 1.5 bathroom Infusion Terrace Home has everything you need — and they’re great if you’re ready to buy your very first home. 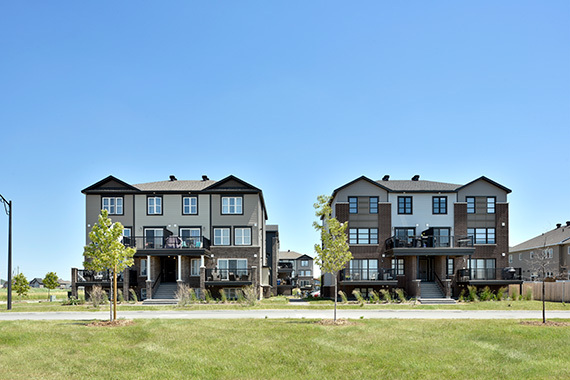 Plus, located just off of Strandherd Drive in Harmony, Barrhaven, you’re conveniently located steps away from the area’s best restaurants, shops, and transit options. Bringing a car with you? Not to worry – there’s outdoor parking included! 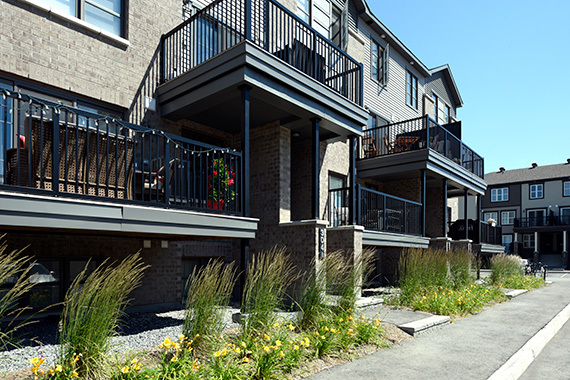 Infusion Terrace Homes are stacked townhomes designed across two floors so you can stretch out and live comfortably. The main level offers an open-concept layout with a brightly lit kitchen, including three brand new stainless steel appliances. The kitchen island looks over the great room — creating a perfect gathering place for friends and family and makes entertaining a breeze. Keep the curtains open, allowing the windows to fill your space with natural sunlight, and step out onto your large balcony for some added outdoor living space. The other level has 2 bedrooms, which come with ample closet space, a 3-piece bathroom, and in-suite laundry. This is low-maintenance living at its finest. Buying your first home is an important decision, let us help make it an easy one. 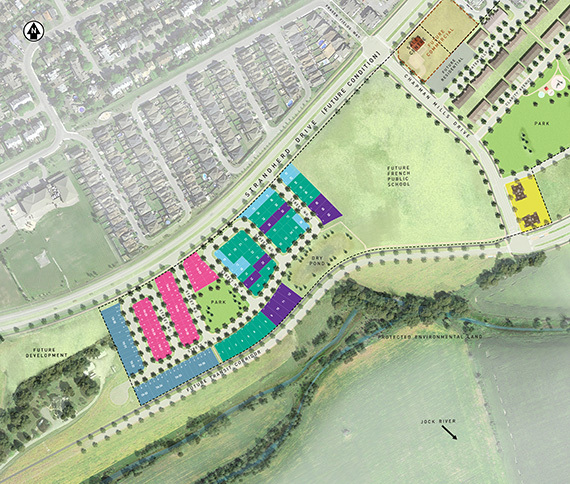 Now on sale in Harmony, there’s no better time to buy an Infusion Terrace Home.